The name Rachana, derived from the Phoenician language, meaning “the small peak,” originally resonated only with this coastal Lebanese village’s population of less than 1,000 inhabitants; now, however, for people around the world, Rachana immediately calls to mind the Basbous brothers – Michel, Youssef, and Alfred – who were amongst Lebanon’s finest sculptors and the source of Rachana’s fame. As Alfred Basbous once said to writer Yaqzan al-Taqi, who like so many others had come to witness the renowned sculptures on display in Rachana, “Much sculpting is taking place here and it is being felt at an international level. Rachana will be remembered in 200 years, 300 years, even 1,000 years.” Rachana’s name gained significance in the field of arts when the Basbous brothers (Michel, Alfred, and Youssef) spread their sculptures all over the town, transforming it into an open air museum. This talent was passed on to the second generation of Basbous family, who preserved the family’s art school. Youssef Basbous, the youngest of three brothers who were gifted sculptors, was born at Rachana, Lebanon in 1926. He worked with stones since his childhood and he learned the basics of sculpture from his elder brother Michel. He started sculpture works in 1958. He works with stones, wood and metal. 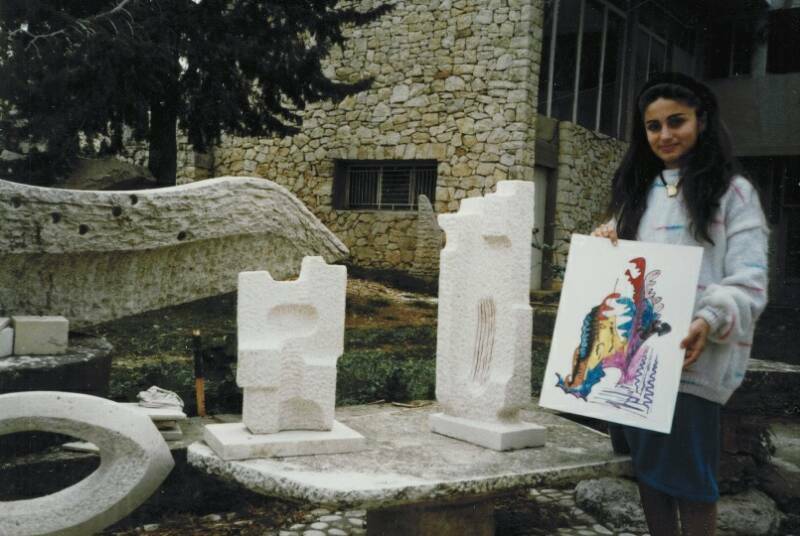 In 1994, with his brother Alfred, Youssef organized the first International Forum of Sculpture at Rachana. Since then, The Forum has become an annual international Art event. Youssef Basbous's daughter Salma who is also an artist. During Peter and Mary Esseff's visit to the Basbous home in Rachana in 1989. 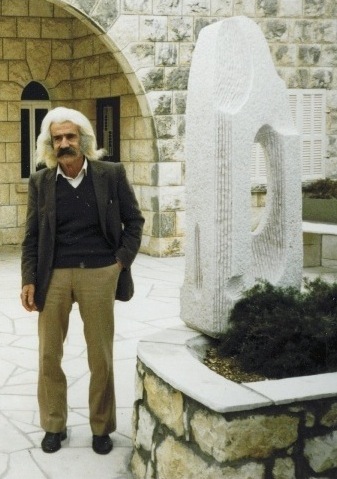 Youssef Basbous standing with one of the medium size sculptures he created outside his home. 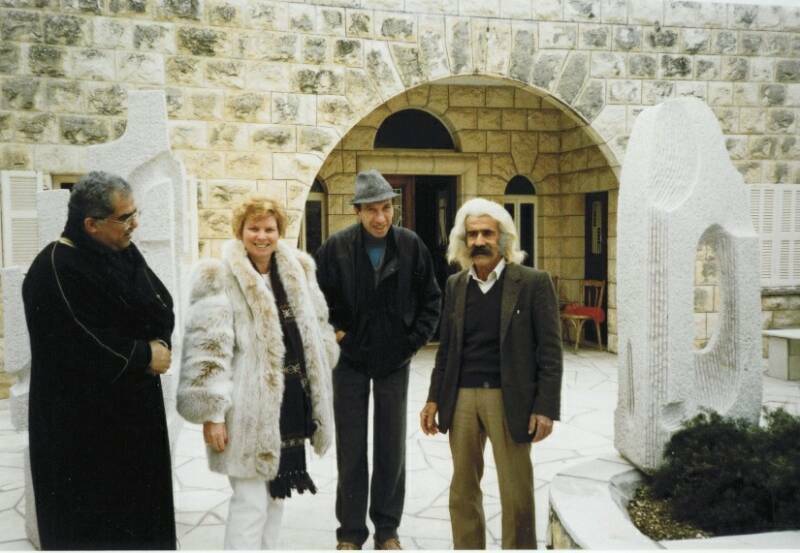 Mary Esseff with Youssef Basbous, Pere Daniel and cousin Francois at Youssef's home in Rachana, 1989.